Privacy is an issue that JustDrive.com takes very seriously. We are committed to protecting your online browsing experience. JustDrive.com collects very little information from its members. The details below will elaborate on how your information is processed on JustDrive.com and all of its networks. JustDrive.com provides the use of a secure server (SSL) when collecting any sensitive data. SSL ensures that all your information is encrypted before it is sent out. Following an order all access to personal information is limited and protected against unauthorized use. Information is collected on JustDrive.com to better serve you and its network of users. 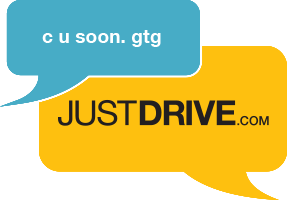 All inquiries or questions can be emailed to support@justdrive.com. E-mail addresses submitted to JustDrive.com or any of it's networks will be opted in to network specific actions and updates. Email Addresses may be shared with partners of JustDrive.com. Any emails sent to JustDrive.com members will contain an unsubscribe link and comply with the CAN-SPAM Act. By using this web site, you consent to the collection and use of information by JustDrive.com.